Were you arrested for any kind of alleged criminal offense in Austin County, Texas? You should immediately seek legal representation. Goldstein, Goldstein, Hilley & Orr represents clients in Sealy, Bellville, Wallis, and many other surrounding areas of greater Austin County. Our attorneys aggressively defend individuals in state as well as federal courts throughout the Lone Star State. 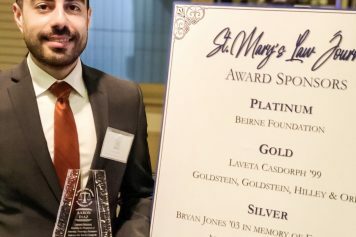 Gerry Goldstein and Cynthia Orr have both been Board Certified in Criminal Law and Criminal Appellate Law by the Texas Board of Legal Specialization. Van Hilley is admitted to the United States Court of Appeals for the Fifth Circuit, the United States District Court for the Western District of Texas, and all state courts in Texas. Our Austin County criminal defense attorneys handle a variety of different misdemeanor and felony offenses. Call (210) 226-1463 right now to take advantage of a free initial consultation that will allow our lawyers to provide a complete evaluation of your case. Interstate 10, U.S. Route 90, Texas State Highway 36, and Texas State Highway 159 are some of the major roadways that run through Austin County, but people are frequently arrested for allegedly driving while intoxicated (DWI, also referred to as driving under the influence or DUI) on other local roads in the county. Drunk driving stops may occur on Fowlkes Street in Sealy, Holland Street in Bellville, or Gresham Street in Wallis. 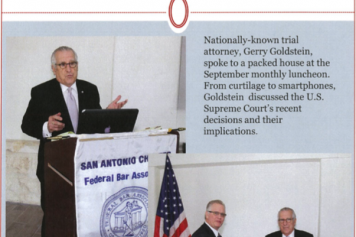 Goldstein, Goldstein, Hilley & Orr represents people facing first DWI charges as well as alleged repeat offenders. Our attorneys also defend clients against drunk driving-related charges such as intoxication assault and intoxication manslaughter. 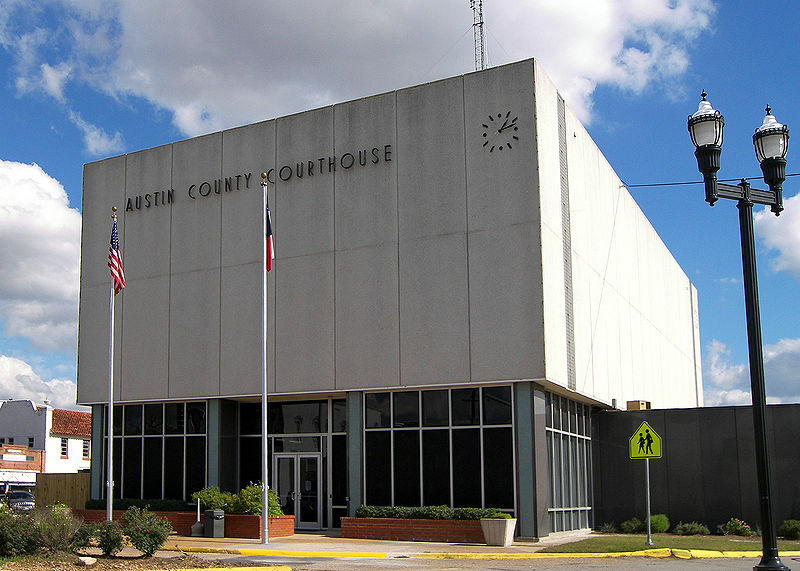 County Court at Law | Austin County — The county court handles misdemeanor criminal cases that involve possible jail time. Visit this website to learn more about the county judge as well as other county offices. The county courthouse is located in Bellville, which is the county seat of Austin County. District Clerk | Austin County — The district clerk is the custodian of all records for the district courts, which have jurisdiction over felony criminal cases. Austin County is served by 155th District Court, which also serves on other neighboring county. On this website, you can view civil fee schedules, read more about local rules for the district court, and learn more about record search procedures. Justices of The Peace | Austin County — Justice of the peace courts have jurisdiction on misdemeanor criminal cases that are punishable by fines only. Justice of the peace courts in Austin County are divided into four precincts. Visit this website to learn more about the judges for each of these courts, view a schedule of acceptable fines, and learn more about the rules of conduct. Fourteenth Court of Appeals — The Court of Appeals handles cases appealed from trial courts in Texas. The Fourteenth Court of Appeals has intermediate appellate jurisdiction of cases appealed from lower courts in Austin County as well as nine other counties in Texas. On this website, you can view a court calendar, learn more about the court’s current justices, and read about recent news. Austin County Sheriff — Visit this website to learn more about the sheriff of Austin County. You can find information relating to the Austin County Crime Stoppers program, open records requests, and common scams being perpetrated in and around the county. You can also learn more about crime victim’s services. District Attorney | Austin County, TX — The district attorney represents the state in the prosecution of felony criminal cases. The district attorney also presents cases to grand juries. On this website, you can also learn more about the assistant district attorneys and legal assistants. Sealy Police Department — Visit this website to learn more about the Sealy Police Department. You can find information about the department’s crime prevention efforts, what to do if you get pulled over, and how to pay a ticket. You can also find answers to frequently asked questions. If you have been charged with allegedly committing any kind of criminal offense in Austin County, it is in your best interest to retain legal counsel as soon as possible. An experienced criminal defense attorney in Austin County can help you achieve the most favorable outcome to your case and may be able to possibly get your criminal charges reduced or dismissed. Goldstein, Goldstein, Hilley & Orr represents clients throughout Austin County, including Wallis, Bellville, Sealy, and several other nearby communities. You can have our lawyers review your case and answer all of your legal questions when you call (210) 226-1463 or fill out an online contact form to schedule a free, confidential consultation.